E-Pro is designed to give merchants the best and fastest on-line integration. EMP corp combines the most innovative technology with a strong history in the industry. We offer secure payment gateways for e-commerce sites. These gateways are constantly improved and updated by our professional team of programmers. For modern commerce, our product is able to meet the most stringent of standards and requirements. Every e-commerce site needs fast integration with the bank. Our services are designed to quickly and easily to bring payments into your account. We ensure that the entire process is strictly secured and every piece of data is protected. Our company is hosted by one of the biggest broadband network providers. This allows EMP corp to offer comprehensive online transactions. Once the transactions are complete, merchants are provided with a complete report about all of their transaction data. Through the E-Pro gateway, merchants can connect to all of their banking information and payment methods. In one simple point of connection, users can completely optimize all of their banking transactions. When it comes to cost and approval ratio, EMP corp leads the industry. Offering more than ten years of experience in the industry, EMP corp is at the cutting edge of the Ecommerce industry. We have a significant competitive advantage due to our exceptional fraud detection algorithms and payment processing software. 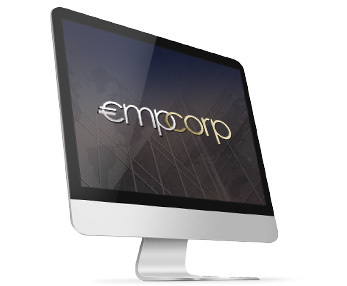 EMP corp delivers several payments solutions that are competitive and safe. Our fraud prevention system ensures that every transaction and account is kept secure. EMP corp staff members are available to answer any inquiries or questions. We welcome any feedback concerning our solutions, technology or marketing activities. Send us your comments and we will respond immediately. Interested in money processing ? Check our E-PRO solution. We are convinced that it will help your. If you need a professionnal EWallet system for your business, take a look to MyWallet for your clients, our custom on-mesure EWallet, that will fits all your needs.